This procedure is aimed for facial rejuvenation and significant face appearance improvement. 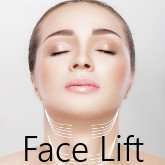 There are many various techniques and methods used for facelift surgery. In this type of surgery the incisions are done in invisible areas, mainly around ears, therefore the scars are almost unnoticeable. Facelift surgery is usually performed under general anesthesia, however we realize that many different clinics do offer local anesthesia. From our point of view, local anesthesia is not too convenient for this procedure, both for the patient and the surgeon. Nowadays, general anesthesias are performed with high caution, and the fear that accompanies them is unjustified. In either case, this decision is discussed and made during medical consultation between the patient, anesthesiologist and the surgeon. This surgery allows for a smooth patient's return to his daily responsibilities and does not require a long process of recuperation. Recuperation in these types of procedures lasts minimum 24 hours, in case of any complications the patient is required to stay in the hospital until his full recovery. The decision about potential hospital discharge is made by the surgeon. In case of occuring any of the above complications, there is always a plastic surgeon at patient's disposal together with fully qualified medical staff. Above problems do occur very rarely, however patients should be aware of pros and cons of the facelift surgery. Follow up visit is scheduled a few days after the surgery, which purpose is to change the dressing and all the information about surgery are provided to the patient. Absorbable sutures ale usually used in facelift surgery. First scientific piece of information regarding facelift was provided in 1939 by Eric Lexter, despite the fact that first facelift surgery was performed by a French doctor Dyiess in second half of XVIII century. 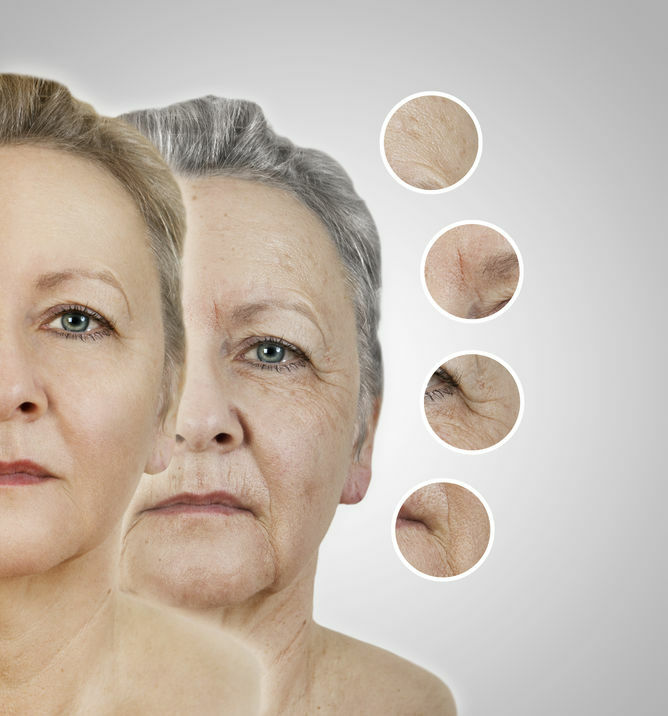 Patients who decide to undergo facelift surgery are driven mainly by the need of eliminating the wrinkles, getting rid of skin fold and skin excess, while smoothening it at the same time. This procedure is advised for patients older than 45 years old. 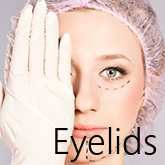 There are many various methods of performing this surgery. 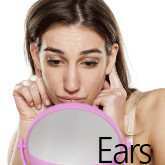 The incisions are usually done along or behind hairline, as well as around the ears. 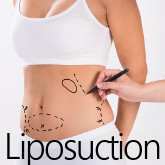 The incisions are inside the skin folds, which causes that they are almost unnoticeable. It is essential to undergo all the test prescribed by the surgeon at the initial medical consultation. During this visit the surgeon will present all the methods, which are used for this type of surgery and also will give a patient a better view on which technique is the most suitable for an individual patient. This procedure should be subjected only and exclusively to patients that have no problems with their health whatsoever, furthermore it is advised against to patients with any cardiological problems. Surgery is usually performed under general anesthesia by intubation of the patient, however in some cases local anesthesia is used. This decision is being made during initial medical consultation with the anesthesiologist. The operation lasts around 1,5 to 4 hours. After the surgery patient is required to stay in the hospital overnight, which is intended in order to monitor patient's health condition. On the next day the surgeon visits the patient, who evaluates patient's health condition and makes a decision about his possible hospital discharge. Facelift surgery in most cases causes no bigger pain afflictions. 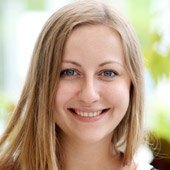 If they do occur, however, they are effectively minimised by the painkillers given to the patient by the doctor. Within first 2 days after the surgery the patient is required to rest, which does not mean that the patient is not able to move and function normally. No surgeon can guarantee that the patient will be 100% happy and satisfied with the results of the surgery. Every specialit's work is based on his own experience and professionalism, but the effects of the surgery can sometimes not go together with the expectations. This must be said in order to indicate pros and cons before the surgery, not to lose important patients later on. After only a week, there are no obstacles for the patient to return to work, but removing the elastic bandage is usually scheduled 7-8 days after the surgery. Hematomas and swellings can be still visible for next 2-3 weeks. This time might take longer for smokers who want to undergo this surgery. Can I sunbathe after facelift? 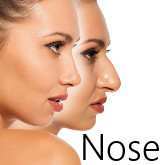 When do I see the final effect of facelift? Every surgery has its own rules and it is hard to generalise everything, this mainly applies to swelling around stitches and icisions. Usually this period is around 2 or 3 months after the surgery.